Yesterday marked the first day of February so I guess that means I can officially talk about Valentine's Day! Although you should tell those you love how much you appreciate them everyday, it's nice to have a day dedicated to showing them. The two things I love about V-Day are CHOCOLATE and cards! I always love giving nice cards and this holiday is no different. This year, I want to try something different and give letterpress cards. I think letterpress is delicate and beautiful. 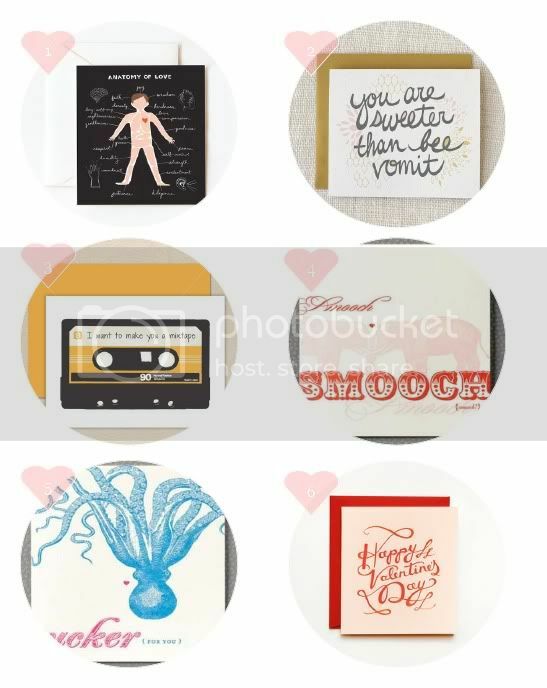 If you still can't decide, this Letterpress 'Love' Notes Set by inhauspress would be perfect for you to leave for your honey throughout the day.